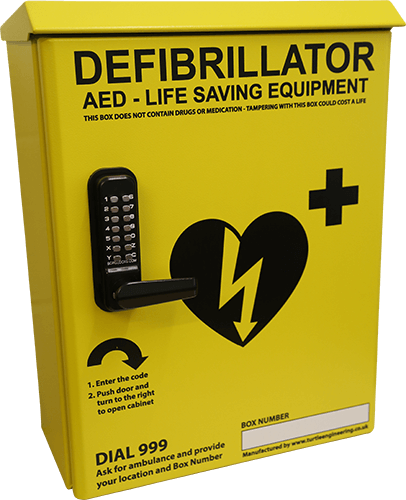 Category: Defibrillators & Spares. 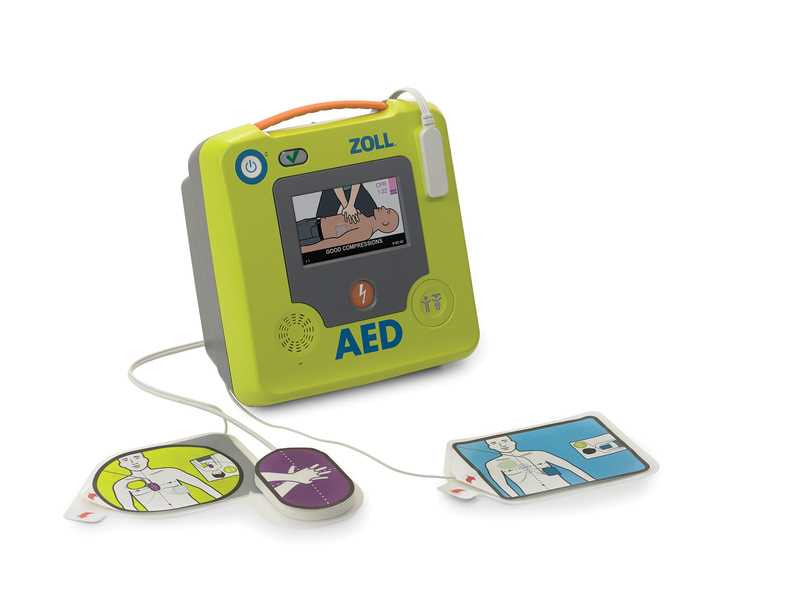 Tags: Defibrillator, Zoll, Zoll AED 3 Defibrillator. 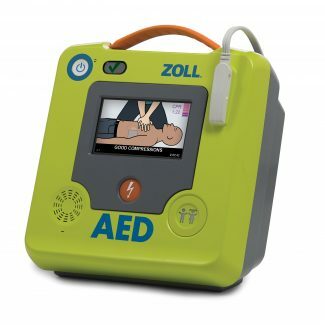 The Zoll AED 3 Defibrillator is the newest Public Defibrillator from Zoll and packs some impressive features as well as featuring a fully colour LCD screen and Zoll’s unique compression depth gauge to help optimise CPR in an emergency. Enhanced Real CPR Help Proven Real CPR Help technology has a full colour display with vivid rescue images, a CPR cycle timer and a large colour bar gauge that shows CPR compression depth. A calm voice prompts you with “Push Harder” or “Good Compressions.” The voice will tell you to pause while it completes a heart analysis and will then alert you if a shock is needed or if you should resume CPR until emergency personnel arrive. Easily manage your ZOLL AED 3 via the cloud. ZOLL’s Program Management solution helps you monitor and manage one or multiple ZOLL AED 3 units; it provides seamless automated monitoring of battery and pad expirations as well as immediate notification of a failed self test. You can have confidence your AED will always be ready for use. 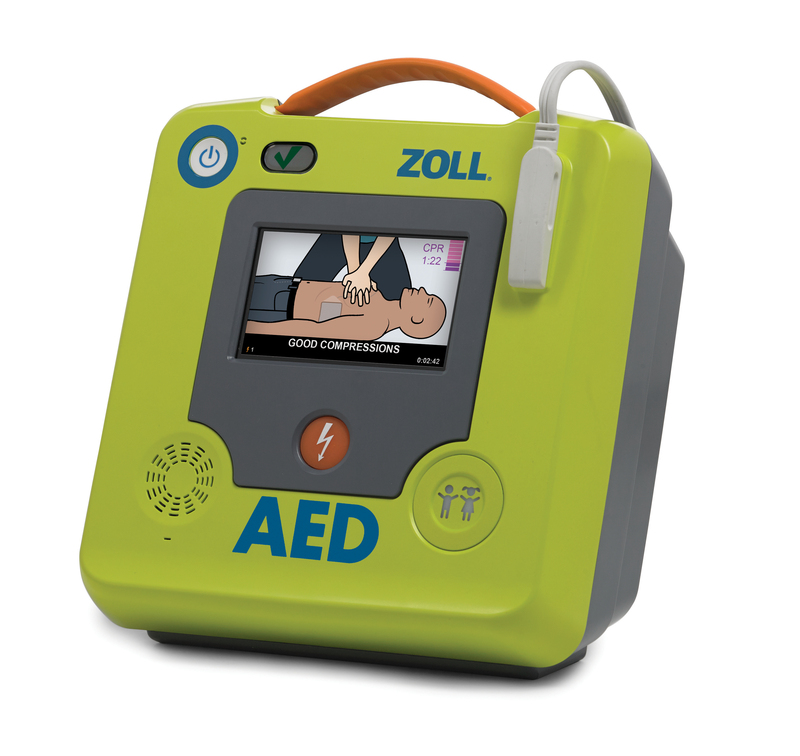 ZOLL’s RapidShock Analysis enables the industry’s shortest rhythm analysis for more continuous lifesaving CPR. Minimising pauses improves CPR quality and patient outcomes. 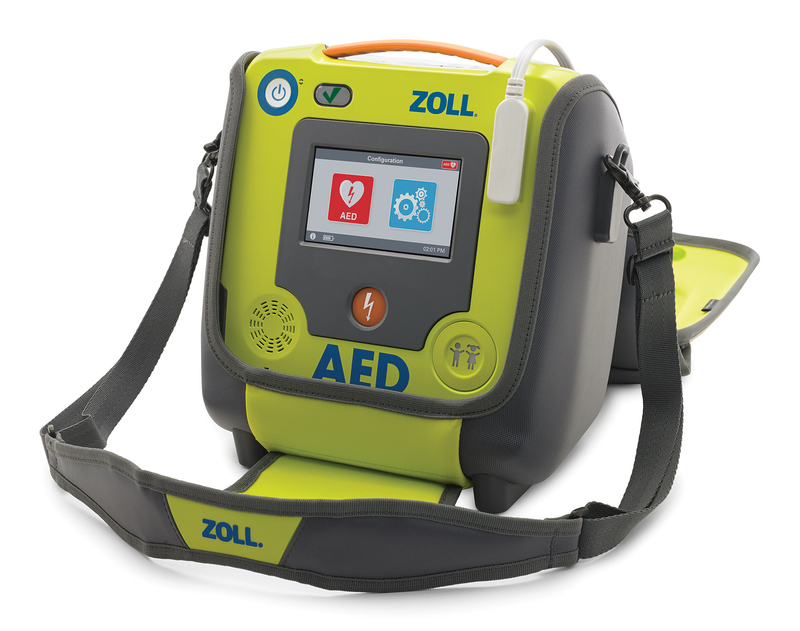 The ZOLL AED 3 incorporates a smart battery that can report its power level status on the device’s LCD screen or transmit it automatically over WiFi to your AED program management. The battery lasts up to five years once installed and costs less than half the price of competitive smart batteries. This all adds up to savings for your organisation and readiness in an emergency.